The Maria Chase BW is a long slim diving lure for plug fishing in shallow water. This best selling bass lure is optimised to dive at depths up to 30cm making it the ideal bass fishing lure for shallow beaches and rock marks. i tried this lure last summer thinking it would bring me a few more bites when the poppers were quiet. the lure cast really well almost as far as the magpoppers/hydro poppers, but when wound fast dives deeper than the stated 30cms, upto about 2-2 1/2 ft. worth noting if you fish over shallow rough ground like me. ive yet to take a bass on one and have been outfished by someone next to me using poppers even when the bass where in feeding mode. i think this lure will have its day though. If you are confident in what you are doing the chance of success is high. the Maria chase has Got to be a my Favourite, I caught my 8lb 12 Bass using it, I like it because it can can be fished safely in shallow water without needing to be worked hard like a popper. If i was only allowed one plug this would be it. The maria chase BW is probably the first lure I will use when Bass fishing. Ideal lure to use in shallow or weedy waters. Casts quite well and has a superb action when twitched and/or reeled fast but also realistic enough when slowed down. The most succesful lure I used last year. The Maria Chase BW is without question my favourite bass plug, partly because I work areas tight up to the shore line where the depth is normally quite shallow, around 2 to six feet. The only other viable option on this ground is to use a popper or surface lure. I have three in my box as insurance against loses, however they are well made and easily pull out of bladderwrack and kelp. The colours are bright and eye catching to the bass, the angler and also, as with any shallow diver, sea birds; so take care when sea birds are around. Looks good, appears well designed & made. Cast very well. Rather expensive for what is a fairly basic, simple lure. Did not catch for me. Stays close to the surface. 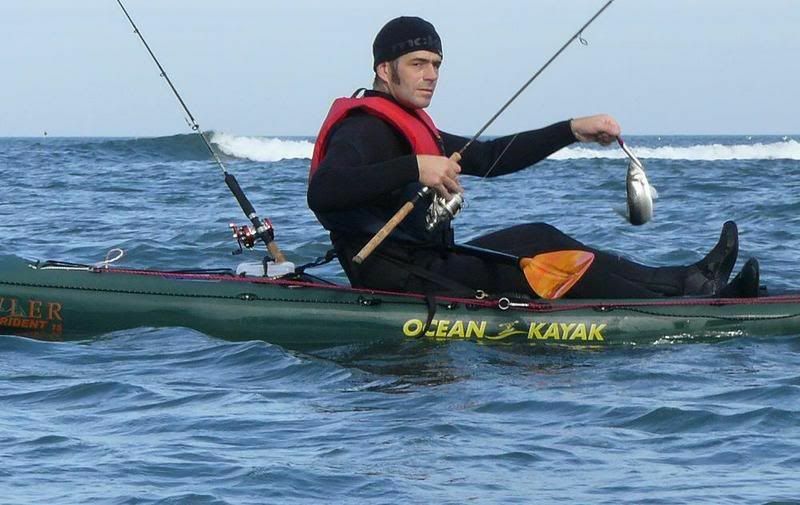 Rather boring to use – its your basic lure shape & action. Overhyped. The Maria Chase BW and Yo Zuri Crystal minnow are my favourite bass fishing lures and no matter how many are in my box I always seem to end up on the BW. Quite simply the reason is because the BW catches bass. I have seen a lot of hype about other bass lures catching phenomenal amounts of bass, well so does the BW – Try it and see. I would score this bass lure 10/10 in every department. caught many bass on these, and some big ones too.